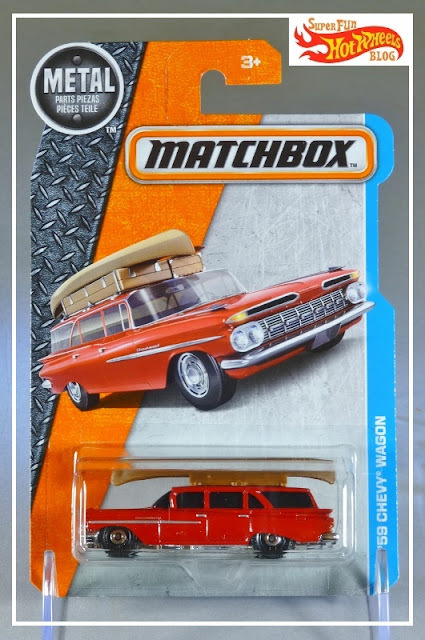 Like the Matchbox Cement King, I was surprised by finding the '59 Chevy Wagon, in spite of there being a recent flood of new Matchbox on the local retail market. Matchbox continues to drop licensed models, all the cards featuring great artwork. 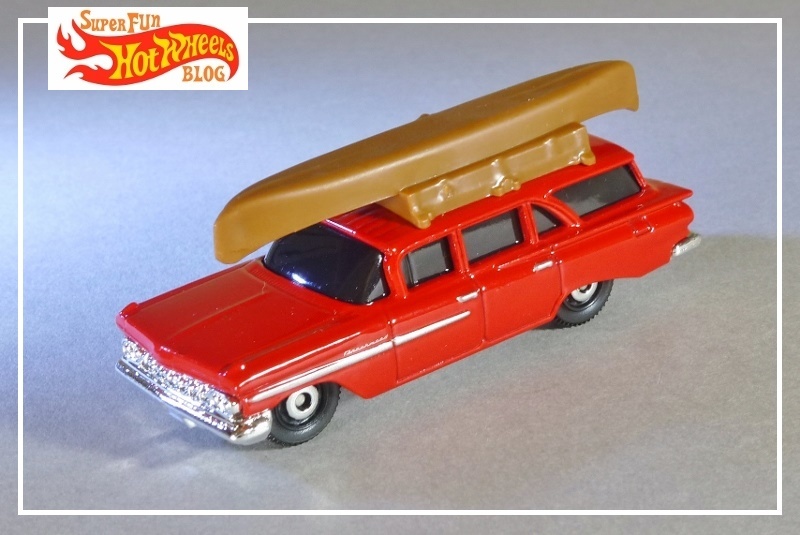 There is some plainness in the sculpt of the canoe & luggage atop the car made more so by it's color, but the chrome grill and paint apps along the side perk things up. 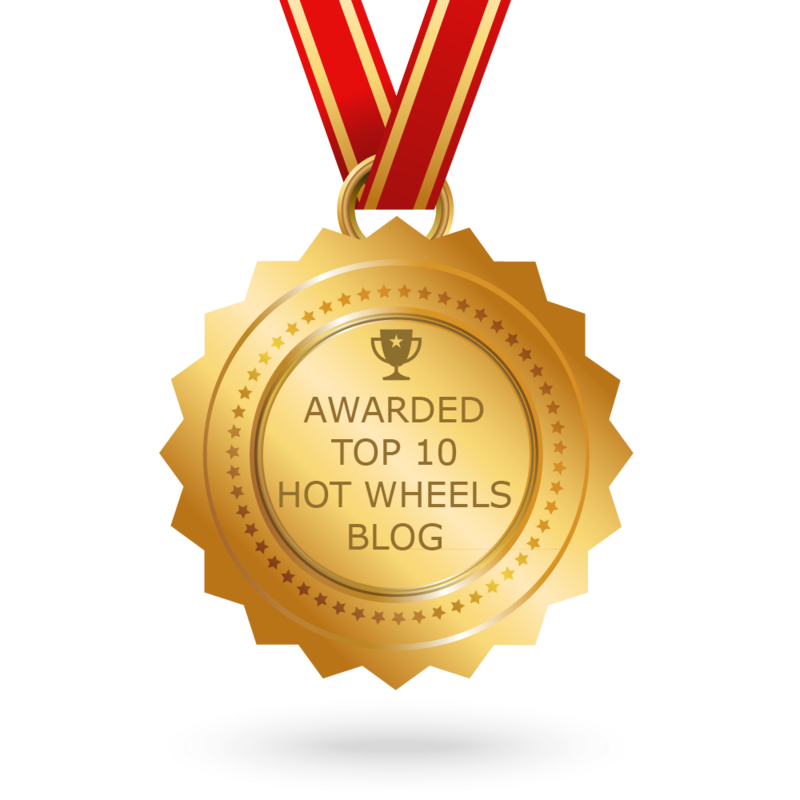 All said, welcome new model!